Buying boxed wine is one way to reduce the carbon footprint of your wine. How do you Fit Wine into your Green Living Lifestyle? For 20 years I have struggled with balancing a love of Old World wine (wine from Europe) with a commitment to a more ecofriendly lifestyle. In fact, downsizing our house by 1,000 square feet back in 2002 was an easy green living change compared to giving up wine from France. Such is my dilemma: rationalizing a love of imported wine with a green living lifestyle. Almost half of the carbon footprint of wine is in the shipping and distribution since most wine is packaged in bottles that are heavy compared to the weight of their contents. Not all miles that a bottle travels are the same. Efficiencies in transportation make container ships better than trucks, and much better than planes. Because of this it’s actually more ecofriendly for those of us on the East Coast to drink wine from Europe than wine from California or BC. The average carbon footprint of wine shipped from France (to the East Coast) is about .14 kg of carbon emissions. Because it is ultimately the weight of the wine bottles that drives the carbon footprint, finding efficiencies in the packaging is one of the best ways to reduce the carbon footprint of a bottle of wine. Given that the actual bottles contribute so much to the carbon footprint of wine I started giving some thought to boxed wine. 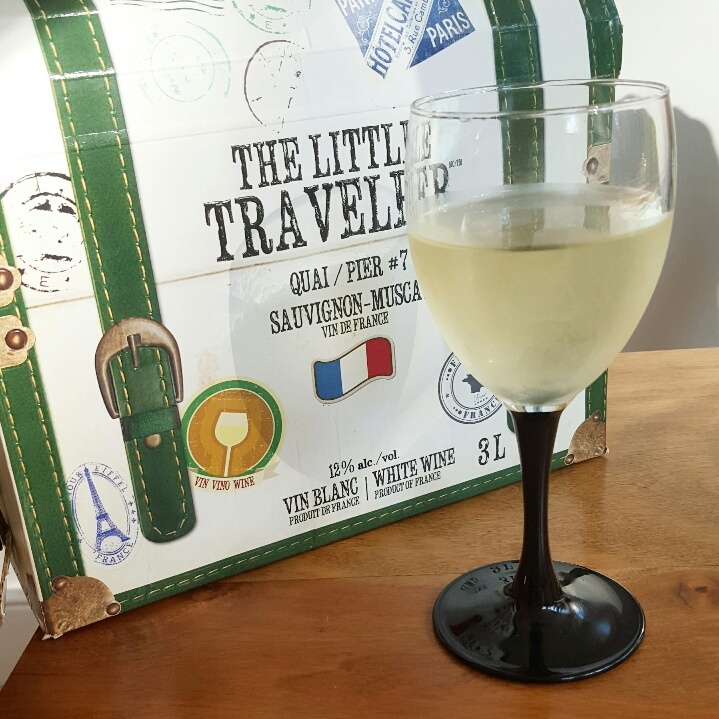 Packaged in larger quantities (usually the equivalent of four bottles) using recyclable boxes and recyclable plastic bladders, boxed wine is the solution to many of the environmental challenges of the wine industry. Although it has traditionally had a poor reputation when it comes to quality, boxed wine is taking off so it is getting easier to find better quality wine in this ecofriendly package. If you can find a brand you like there are even more benefits to boxed wine. It’s cheaper per litre than bottled wine, and lasts in the fridge for at least a month after it has been opened. Since most wine isn’t meant to be aged, boxed wine makes great environmental sense. Finding a boxed wine you like can be difficult since it’s quite a commitment to taste test a wine three litres at a time. 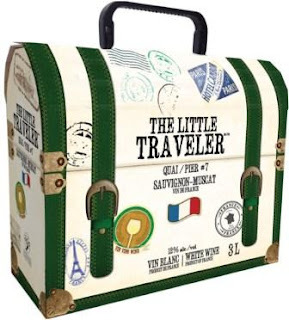 My friend Heather put me onto a French wine, The Little Traveler, (a sauvignon-muscat blend in white and a Primitivo in red) that I love but a quick online search found some others that have reasonable reviews (depending on your taste preferences.) The one drawback that I discovered is that the wine bags inside the boxes can be made of #7 plastic (could contain BPA). Because boxed wine isn’t everyone one’s choice, there are more and more bottled wines that are aiming for a net-zero carbon footprint. One such wine available locally is Santa Margherita Pinot Grigio, the best-selling Italian wine in Canada. Each bottle has a green label that says “Carbon neutral from ground to store. Measured and offset with Carbonzero”. Although it’s available in bottles the winery works hard to reduce its carbon footprint throughout its operations to counter-balance the shipping. The BC-based winery, Tinhorn Creek, has been awarded carbon neutral status by a Vancouver based consultant Climatesmart. Since transportation determines so much of a wine’s carbon footprint, giving local wines a try is another way to make your wine drinking more ecofriendly. Dunham’s Run wine from the Kingston Peninsula is worth a try as are other New Brunswick wines (like Mott’s Landing, if you can find it) and wines from Nova Scotia.